“The Island”. “Mr. Brooks”. “Deja Vu”. “The Texas Chainsaw Massacre”. “When a Stranger Calls”. “Poseidon”. “16 Blocks”. These are just a few of the incredibly limp thriller scores that leapt to mind when I heard that Geoff Zanelli was scoring “Disturbia”. You see, Zanelli is one of a large group of Hollywood composers who learned his craft under Mr. Hans Zimmer and the good folks at Zimmer’s company, Remote Control (formerly known as Media Ventures). Despite Zimmer’s remarkable talents, very few of his protégés have developed unique voices in any way whatsoever, and are often content to provide recycled versions of recycled versions of better film scores. Still, every score deserves to be judged on it’s own merits, and “Disturbia” has a little bit more than some of the aforementioned titles. The film is something of a modern remake of “Rear Window”, but targeted at a teenage audience. Shia LaBoeuf is appealing in the lead role, and the movie has it’s moments, but it was obviously never going to close to matching Hitchcock’s efforts. “Rear Window” effectively only used a minimal amount of source material (written by Franz Waxman), this movie takes the typical modern approach of lathering every scene in music (either Zanelli’s score or completely inappropriate pop tunes). The opening title cue does a reasonable job of setting the tone for the score, offering an energetic piece of action/suspense. There is very little melody here, it’s all about pulsating rhythms and aggressive motifs. However, it’s really a cut above the usual action dreck provided by Remote Control composers, and offers a few glimpses of genuine intelligence. At times, the score vaguely resembles the action music of Marco Beltrami, without quite hitting those heights. Beltrami’s recently released “Live Free or Die Hard” does a considerably better job at this sort of thing. . The tone changes in “Fishing”, as some warm ideas are followed by some mournful ones. It’s really a rather attractive cue. “Poofoot” is a brief rock instrumental, helping to establish that the protagonist is played by a hip young cutiepie. More of this can be heard in “I Like to Play”. Some vaguely lustful and atmospheric romance appears in “Voyeurism”, as our hero spies on the girl next door. The idea shows up again in “Walking Ashley Home”. Lastly, we have suspense music, and I believe that it’s harder to write interesting suspense music than anything else in film music. It meanders and wanders without really going anywhere in “Every Killer Lives Next Door to Someone” and “Stealth Ronnie”, very dull cues. Such pieces actually worked pretty well in the film, but on album, they threaten to tear the whole experience down. .
“The Club Girl” and “Stalking a Killer” manage to bring back a little excitement, but only a little. The album closes on the mostly quite boring “The Basement Graveyard”, which ends the album on an inconclusive and remarkably uneventful note. When the score is good, it really is pretty good, and when I watched the film, I noted how effectively it built up the atmosphere. However, on album, it’s very hit and miss, with an emphasis on the latter. Strictly for those who think a few solid cues is enough to merit a purchase. 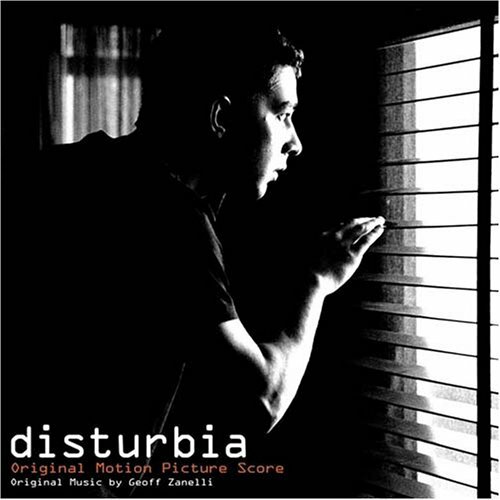 Music composed by Geoff Zanelli. Conducted by Bruce Fowler. Orchestrations by Bruce Fowler, Walt Fowler, Rick Giovinazzo and Yvonne S. Moriarty. Recorded and mixed by Jeffrey Biggers. Album produced by Geoff Zanelli.